Hair and Makeup Overload: I Chopped It Off! You may know I planned to cut my hair some weeks before. Well I got it last week on Friday and like the title say… I chopped it off. It may not look super short but when you compare the before and after picture you’ll realise… she really did chop a lot of it off. I just got a typical A-line cut, but not so short it looks like a bob. It’s refreshing but I will admit I miss my long hair and my curling iron will be extremely neglected and lonely. I think I will need to pack it away for when my hair is finally at a suitable length again. Short hair for the beginning of the year! I also got my hair lightened a little bit compared to the previous colour, but not so light that it looks odd. 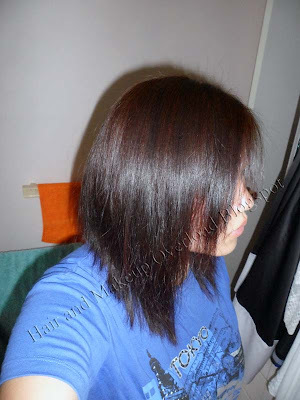 Surprisingly it still looked natural in a way, but has a nice red kind of tint to it when I stand out in the sun. Should I have kept my long hair? 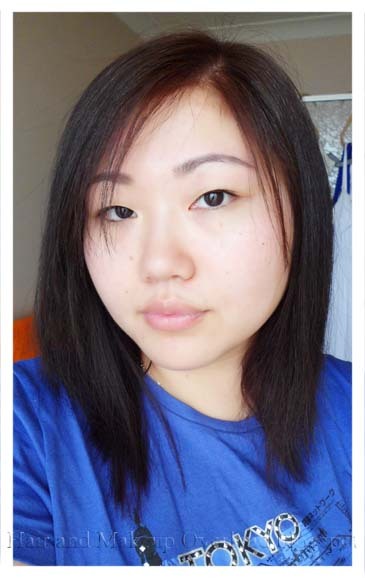 Does shorter hair suits my round face? Maybe I look older now that my hair is short? Oh yeah do you like how i put borders on my photos? Does it look better? omg I really like it!! it suits you really well and I soo love the color!! I want to chop mine off so badly!